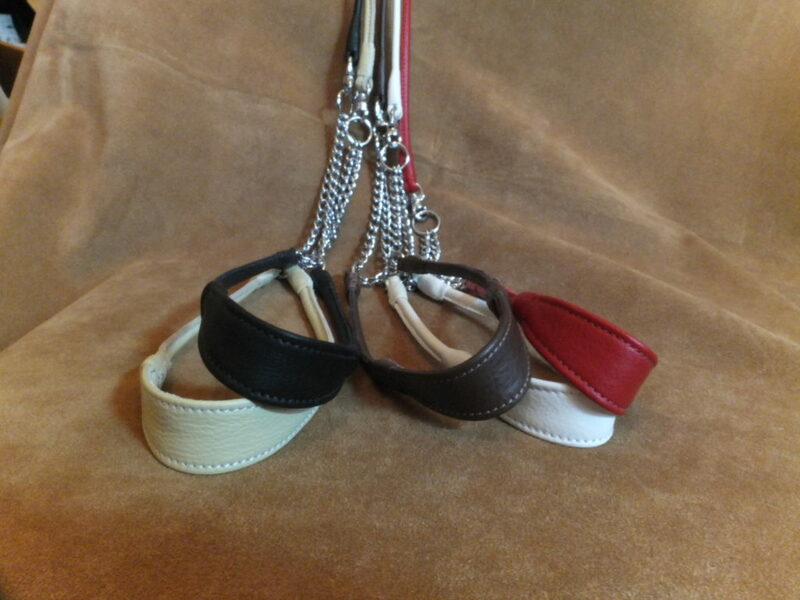 Comfort in the ring for your dog. 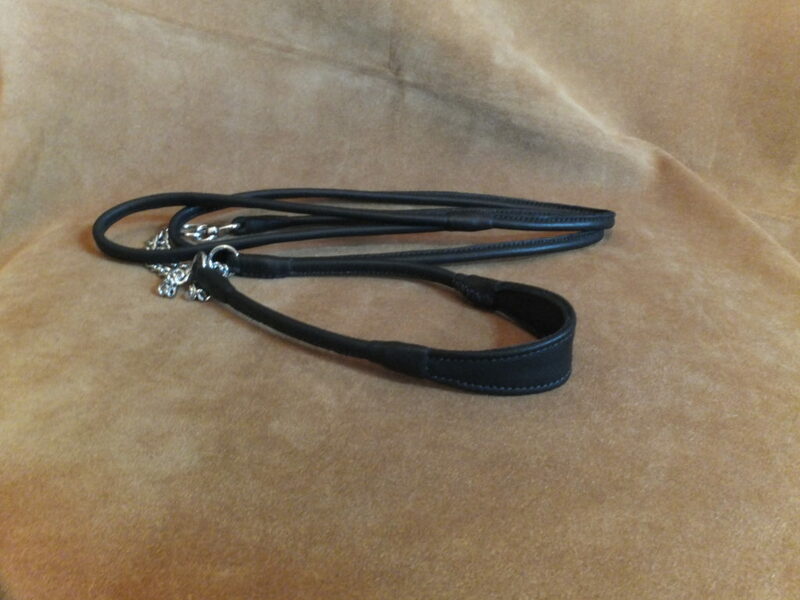 A lovely soft leather show set with a comfort neck offering extra support and comfort across the throat. 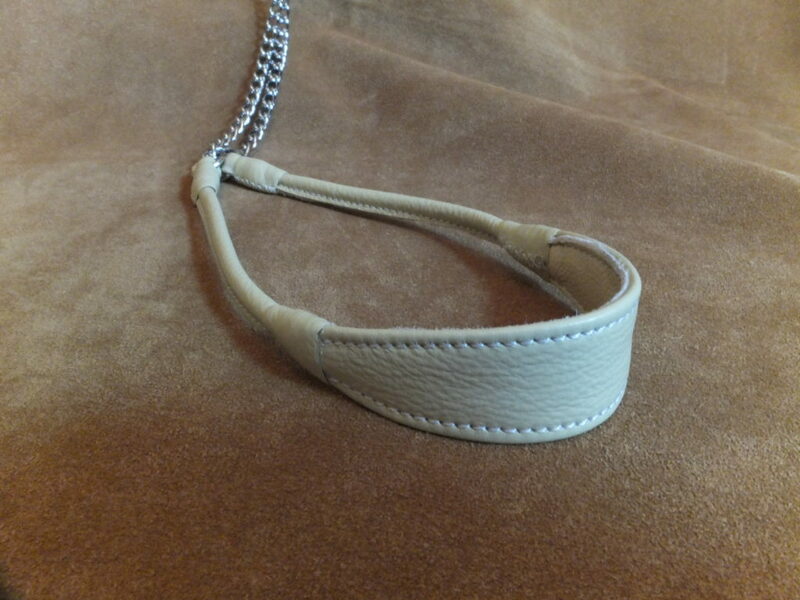 This show set is reinforced with nylon cord for extra strength and to prevent stretching. 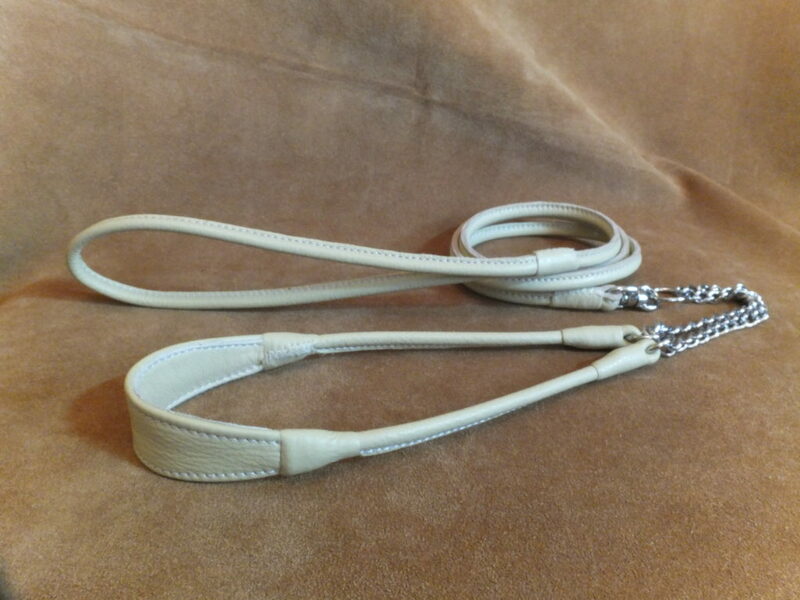 It is available in a selection of colours with a chrome chain that has a swivel (no clip) the lead attaches to. You might like this round leather set.